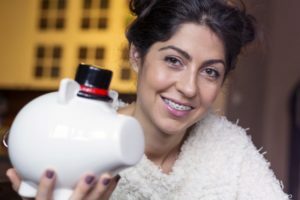 Can I Use My FSA or HSA for Braces in McMurray? For many individuals, braces in McMurray are an essential treatment. Not only do they straighten teeth and prevent serious dental problems, but they can also transform your smile and give you added confidence. Admittedly, though, the price of braces can make some people hesitate to commit to them. One way you may be able to fit your orthodontic treatment into your budget is by using your FSA or HSA. Let’s talk about how these special accounts could help you achieve a healthier, straighter set of teeth. A flexible spending account (FSA) is an account that allows you or your employer to set aside tax-free money that you can put toward medical or dental expenses. Typically, FSA funds expire at the end of the calendar year, though there might be a brief rollover period. A healthcare savings account (HSA) also allows you to set aside money for healthcare or dental expenses. It is designed for long-term savings, so you don’t have to worry about the money expiring. Both of these accounts have specific rules for spending the money. HSA rules tend to be a little stricter than those for FSAs. The folks at your bank, or the human resource director at your workplace, can help you figure out the details of your FSA or HSA. In most cases, you can use an FSA or HSA to pay for braces in McMurray. In fact, there are very few dental procedures for which you cannot use these accounts (you can’t use them for purely cosmetic procedures). Often, you can use both insurance and your FSA or HSA, resulting in a relatively low out of pocket cost for your orthodontic treatment. Braces can play a huge role in protecting your oral health and making you love what you see in the mirror! If you have an FSA or HSA, don’t hesitate to use it to fit your treatment into your budget. Dr. Gary Cartwright has over 20 years of experience in orthodontics. He is both a member of the American Association of Orthodontists and a Diplomate of the American Board of Orthodontics. If you would like to learn how he can help you achieve a healthier smile, or if you have questions about the payment options we offer for braces, contact our office at 724-942-5130. Comments Off on Can I Use My FSA or HSA for Braces in McMurray?